Throw away your rabbit’s foot, because on this St. Patty’s Day, there’s an even luckier charm you didn’t know you had: the horseshoe crab! In celebration, we’ve made you a special ocean inspired St. Patrick’s Day greeting (shareable! ), plus the 4 amazing reasons why you should start adopting the horseshoe crab as your lucky charm. Enjoy! So why is the friendly horseshoe crab so lucky out of all the ocean creatures? It almost never gets sick (and if it does, it usually knocks it out lightning fast). AND it even acts as our lucky charm – saving human lives on a daily basis, all with the help with its special bacteria-fighting blue blood. Get this: if you’ve ever had a flu shot (or any other kind), the horseshoe crab helped make sure it was safe to put in your body. Pretty amazing! So throw away your rabbit’s paw, stop throwing salt over your shoulder, and drop that lucky number of yours. Instead, the next time you see a horseshoe crab at the beach, know just how lucky the both of you are. 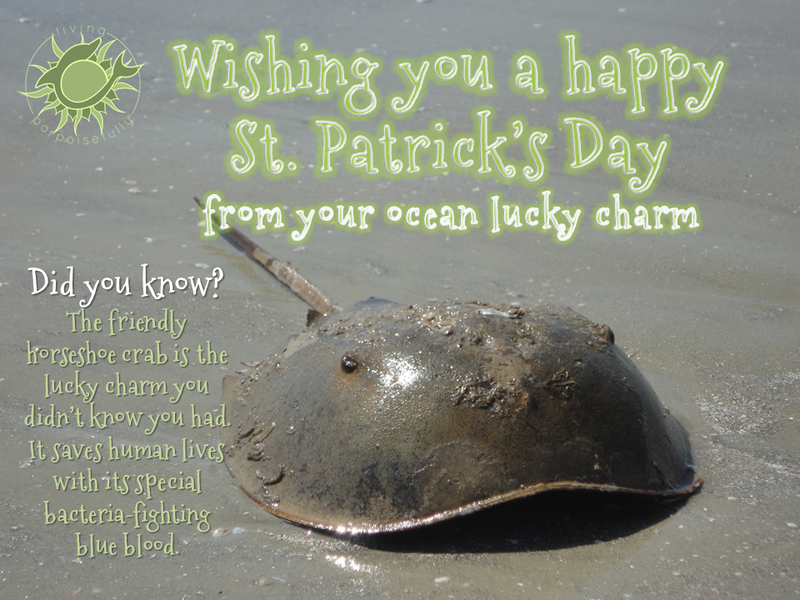 We hope you have a happy St. Patty’s Day, and that the luck of the horseshoe crab follows you all year. To immerse yourself in the festive Irish holiday even more, indulge in a picture feast of Ireland: 6 Fairytale Days in Ireland.